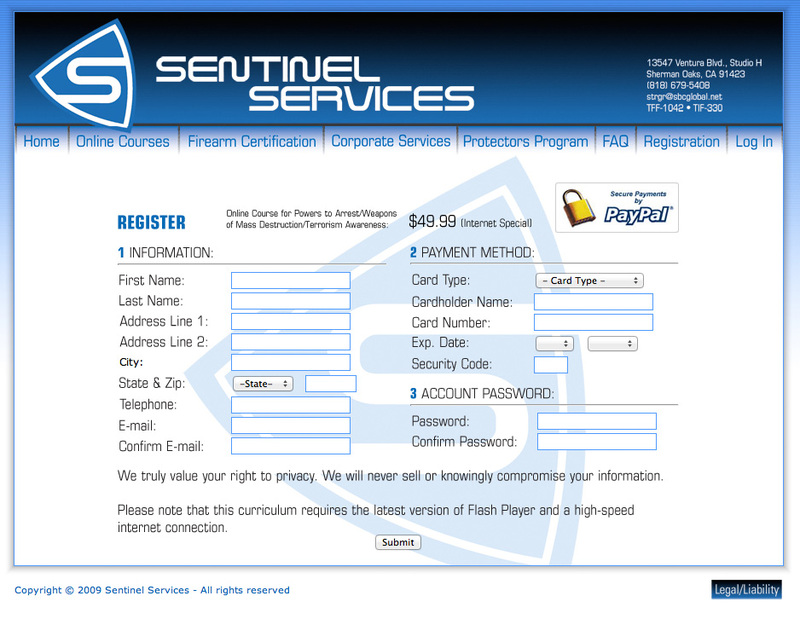 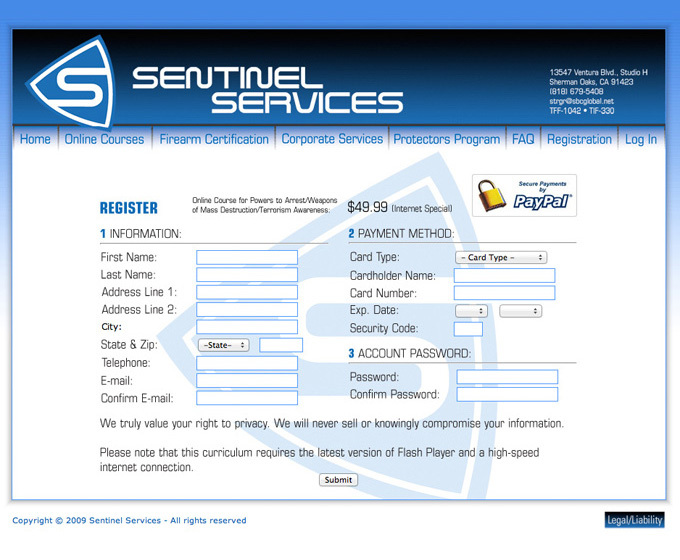 In an online classroom, Sentinel Services offers the two courses required to obtain a California Guard Card and start working as a security guard. Students can take the classes approved by the California BSIS (State Bureau of Security and Investigative Services) to get started in the field. 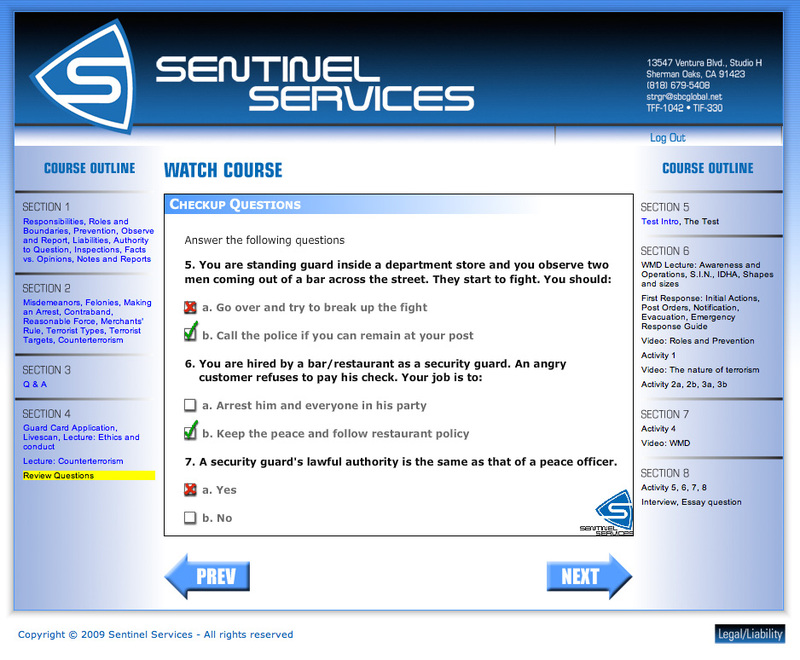 The website features a series of videos, activities, quizes, and a final exam. 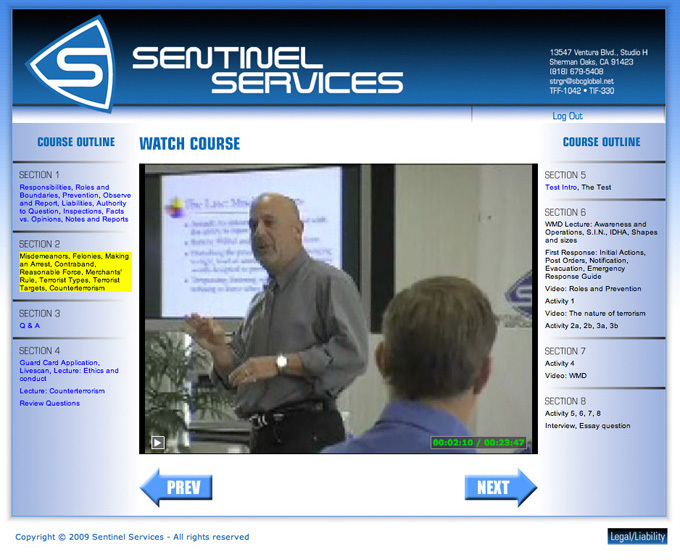 The system is fully automated, and a back-end interface allows administrators to track membership and student progress.